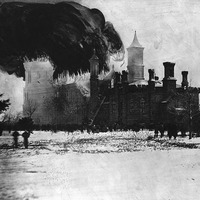 “Fire in the Smithsonian Building,” Histories of the National Mall, accessed April 23, 2019, http://mallhistory.org/items/show/160. 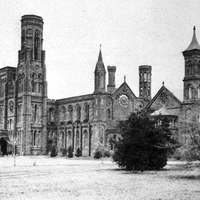 The original Smithsonian Institution Building, often called the Smithsonian Castle, caught fire in 1865 when workmen mistakenly installed a stovepipe in the building wall. 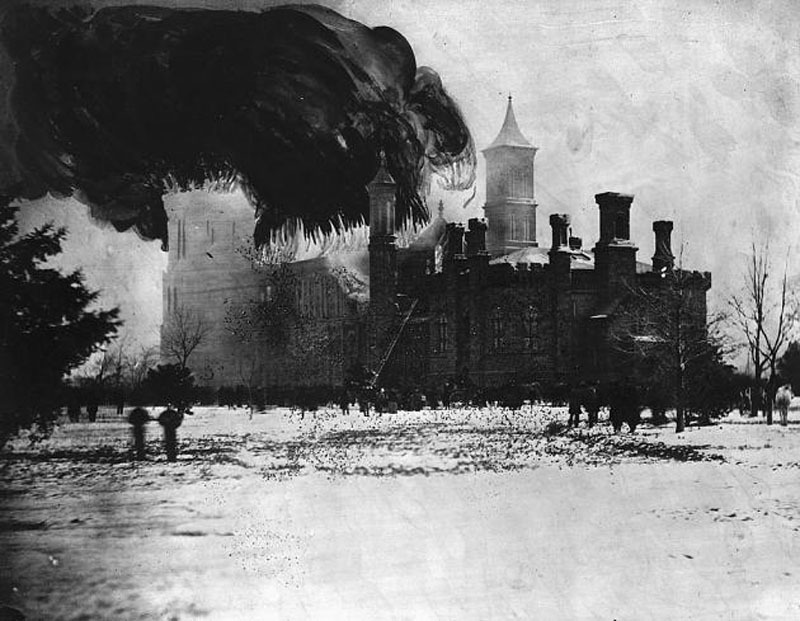 The building was poorly fireproofed and the fire kindled unnoticed within the walls for several days. When it erupted, it destroyed the lecture hall, apparatus room, Board of Regent's room, Secretary's office, the Picture Gallery, and all the priceless artifacts they housed. 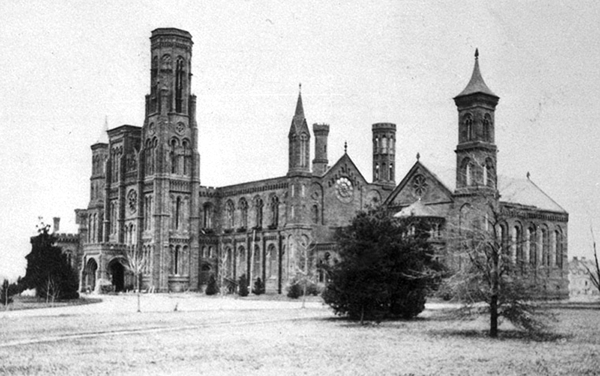 The main room of the museum and the library were saved. The Castle was rebuilt beginning in spring 1867 and fireproofed throughout.